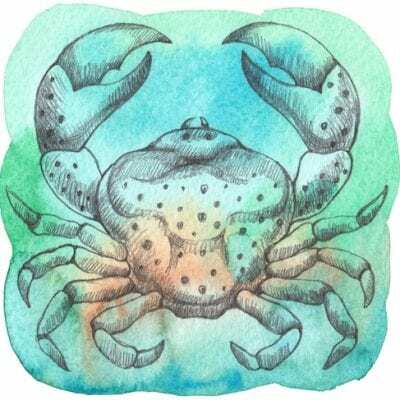 If your birthday falls between June 21st and July 22nd you are born under the star sign Cancer. Both Taurus and Cancer value peace and life, giving them a joint understanding when it comes to family and compassion. As they both share the same goals, they will rarely clash about where their future is heading. Since these two signs are extremely gentle and share the same emotional goals, they can fall in love fast. A Cancer and Taurus couple will struggle to find fault in their relationship and often become inseparable, resulting in a love that will never die. Read more about the Taurus Star Sign here. Both Cancer and Scorpio belong to the element of Water. These two signs are guided by their emotions and follow their heart. They have the power to unite on a level that is unreachable for other signs in the zodiac. They are able to communicate on a deeper level and understand one another thoughts and emotions with just one glance. Their deep connection is unbreakable, and as long as they are together they can tackle even the hardest of obstacles together. Read more about the Scorpio star sign here. Pisces also belong to the element of Water, however, they connect with Cancer on a different level. Love, at first sight, is common with these two signs, however, as time goes on, a Pisces changeable nature may cause a few disagreements. The only way to protect their relationship is to find a balance between excitement and stability – once this is achieved, they become one of the most wonderful and passionate couples in the zodiac. Read more about the Pisces star sign here. This pairing is one that could end in heartbreak and tears. A lot of work, compromise and change to both their behaviours is the only way this relationship can stand the test of time. Aries can be impatient whereas Cancer are sensitive souls, so without adapting to eachothers personality, they may find they have to tip toe around their significant other. Read more about the Aries star sign here. The main problem these two signs face is that they are both attracted to qualities that the other does not possess. Cancer craves someone that is responsible and practical whereas a Libra seeks someone who is strong and lives life to the full. These differences can mean that they never meet the expectations that the other has set. Read more about the Libra star sign here. If you are having doubts about a relationship or are wondering when true love will come your way, Psychic Light’s readers offer insightful advice, while guiding you to a brighter future. Many of our readers are skilled in horoscopes and can offer you guidance, advice and warnings for your sign.